last time, we tried to find out whether there were cruises behind the Iron Curtain, in the Soviet Union.The answer is clear: yes, there were! We decided not to stop on the first article and tell you full information about the "cruise industry" behind the Iron Curtain! As some people who commented on the first part on social media noted, the Iron Curtain means not only the USSR. Good point, and we agree with it. That's why we planned to write articles about cruises in socialist Poland, East Germany, and maybe in Yugoslavia, Bulgaria (if there's enough information) after the articles about cruises in the USSR. But more about that later. Now, we'd like to tell you the first part about cruises in the USSR. The cruise industry in the Russian Empire and then in the Soviet Union developed in a slightly different direction when compared with cruises in the "rest of the world." Perhaps, initially, the problem was the lack of direct access to the World Ocean and the main water transport corridors. In the middle of the 19th century, the Russian Empire had access to the Baltic Sea, the Black Sea, the Caspian Sea and the Sea of Azov ( that in fact are the inland seas), the Arctic Ocean (where there is no regular passenger traffic even in the 21st century), and to the Pacific Ocean. Because of historical events, inaccessibility, and wars, the Pacific Ocean was not considered as a market for the possible cruise or steamship (as the Russians called it) connection. The political situation also did not allow to develop the Baltic Sea and the Black Sea directions fully. Speaking of the Black Sea, let's recall the Crimean Wars that took place in the mid-1850s. At that time, P & O and Cunard already operated transportation, while P & O operated practically full-fledged cruises. As a result, the Russian Empire witnessed the development of river cruises or, as they were called, parohodstva (Shipping Companies). These companies specialized mainly in river transportation of passengers on large rivers, for example, on the Volga. Besides, sea parohodstva (Shipping Companies) began to appear in the early to mid-19th century. Black Sea Shipping Company, based in Odessa (modern Ukraine) was the first among them. It was founded in 1833. It is noteworthy that these companies united both merchant and cargo ships as well as cruise and passenger ships. Almost all passenger transportation combined the 'river-sea' option. Otherwise, it was only the 'river' option. There were the following itineraries: the Volga-the Caspian Sea, the Dnieper-the Black Sea (Odessa), and others. 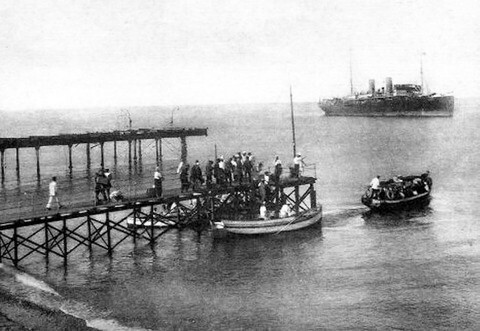 Passenger transportation was developing rapidly, and, although they had not yet looked like cruises, Kherson-Odessa itineraries became regular. Besides, the first 6-month passage of the wheeled steamer from Petersburg to Odessa was made at that time. Black Sea Shipping Company was developing. 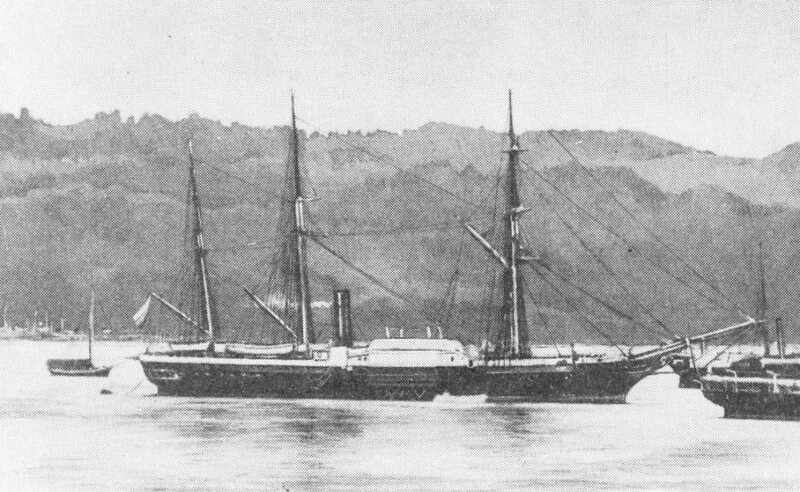 The then-modern steamships joined its fleet. They operated regular domestic routes along the Black Sea. By 1845, the first international routes (it is still difficult to call them cruises) appeared: Odessa-Constantinople (modern Istanbul). Four steam frigates - a mixture of a paddle steamer and a sailing frigate - were built in England especially for this route. The ships operated sailings on their routes for almost 10 years. During the Crimean War, the ships were requisitioned and armed. Almost all ships were destroyed during the war. 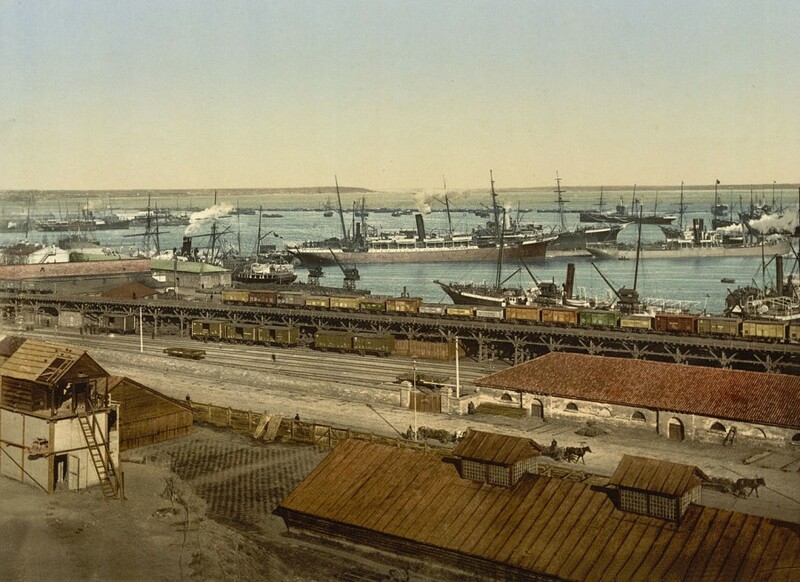 Towards the end of the 19th century, other shipping companies appeared in the Russian Empire: Northern Shipping Company (1870), Dobroflot (1878), Far Eastern Shipping Company (1880). None of them had a cruise fleet. By the beginning of the 20th century, something similar to sea cruises persisted only on the Black Sea. However, cargo transportation remained the main course. At the beginning of the twentieth century, the unborn cruise market was almost destroyed: at first, by World War I, then by the Revolution and the Civil War. There was only small river transportation. The passenger transportation market was slightly reborn between the First and Second World Wars. Small liners that cruised even "around Europe" - from St. Petersburg to Odessa or Yalta - were among the first ones. Ships of this class could take on board up to 550 passengers. And their speed was far from the Blue Riband. Ships that were constructed before the Revolution in Germany and Russia joined the fleet. There were many ships. Let's remember the most famous of them. 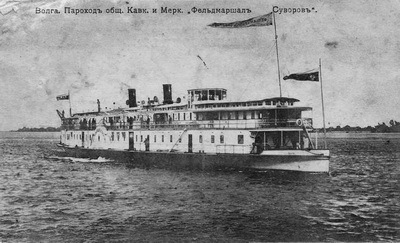 For example, the "Lenin" (ex-Simbirsk) steamer. The ship was constructed in 1909 in Danzig (Gdansk) for Dobroflot. 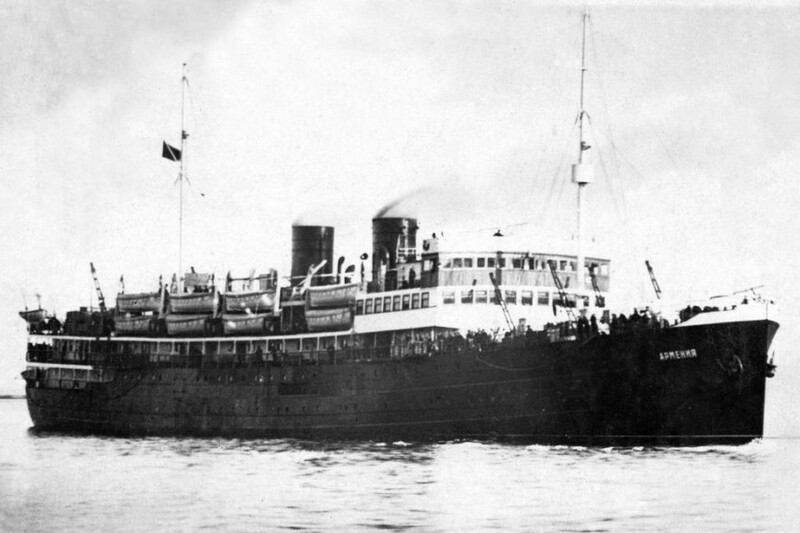 The ship operated sailings on the Asian and Pacific routes until 1923. She changed several owners (because of the Revolution). In 1923, the ship became the Soviet one. She was named after Lenin. Lenin began to operate regular Black Sea "cruises" since 1924. With the outbreak of World War II, the ship became a transport vessel. During the evacuation from the encircled Sevastopol, the ship hit a Soviet mine. The death toll is unknown. According to historians, from 2500 to 4600 people died. Teodors Nete was another famous ship of those times. This ship was a cargo/passenger steamer built in St. Petersburg in 1912. The ship operated Pacific sailings. After the revolution, the ship fell into the hands of either the Japanese or the Italians. 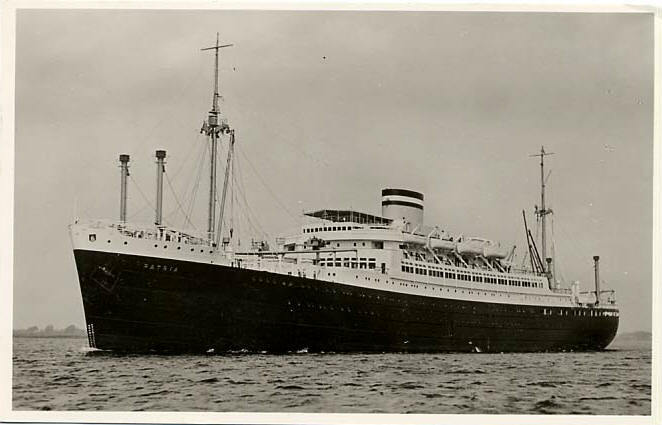 In 1921, the ship began to operate sailings under the flag of the Italian company called "Lloyd Triestino" and under the new name of "Soria." 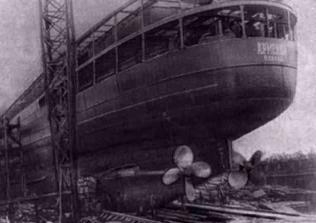 In 1926, the ship was bought by the Soviet Union. Her new name was Teodors Nete. The ship operated the Black Sea "cruises." It might seem a bit strange, but the ship was requisitioned for needs of the army in 1933 (6 years before the outbreak of World War II). Already in 1934, the ship became a minelayer ship. In fact, the ship turned into a military one from that time. She did not operate cruises anymore. The ship had a strange fate. 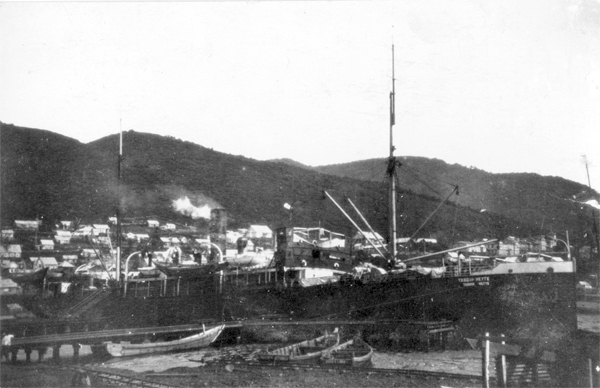 She survived the war, but her base covered with soil became the port berth in Petropavlovsk-Kamchatsky. 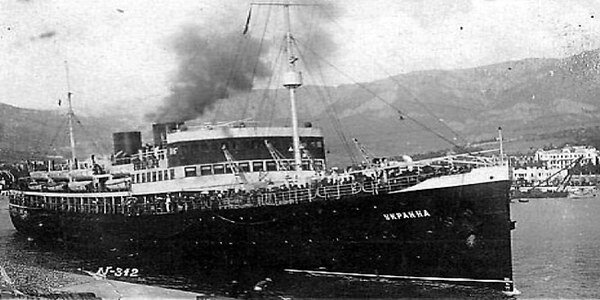 "Armenia" was another famous pre-war liner. The ship was constructed in the Soviet Union in Leningrad in 1928. Her tonnage was almost 6000 tons. Notice how small she was in comparison with transatlantic liners of that time! 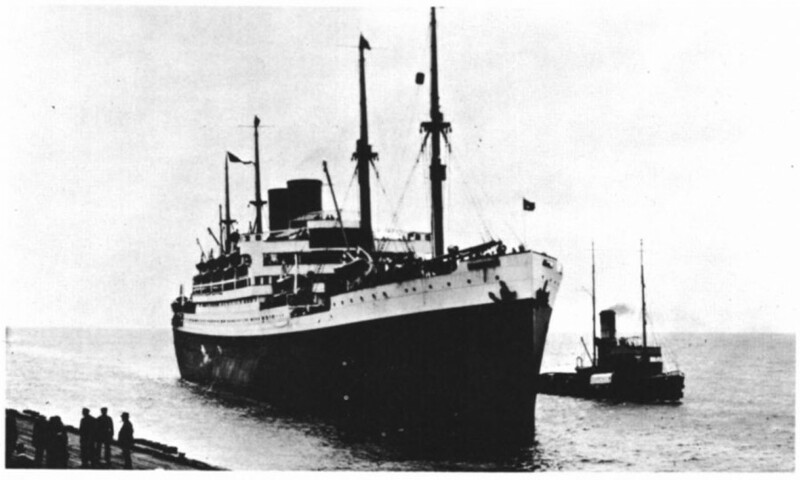 For example, SS Bremen (1928) had the tonnage of almost 52,000 tons. There's no reliable information about this ship's fate. She operated regular routes, which can be hardly called the cruise ones. By the beginning of the Second World War, the ship was immediately used as an evacuation vessel. In November 1941, the ship departed from Sevastopol and Yalta with up to 10,000 evacuated people onboard. The ship had large red cross symbols. However, at the same time, she had anti-aircraft weapons, which neutralized the protection of the Red Cross. At night, on November 7, the ship was attacked by a single German aircraft. The ship sank in 4 minutes after the attack. Only 8 people managed to escape. It is one of the most terrible catastrophes in world history... The ship is still missing. The Second World War destroyed passenger transportation in the Soviet Union. After the war, it all started again. The Soviet Union received a large number of different ships as reparations.There were famous modern ocean liners among them: Magdalena, Basarabia, Patria, Berlin, and Hansa. Magdalena was constructed in Danzig (Gdansk) in 1928. The ship belonged to the famous company called HAPAG (Hamburg America Line). 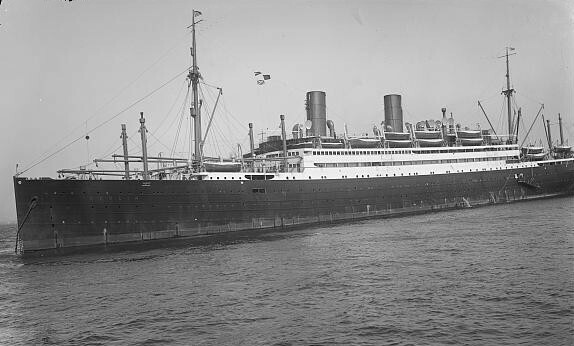 Before the war, the ship operated transatlantic sailings. Besides, the ship visited the Caribbean islands. In 1934, the liner ran aground near Curaçao. After repair, Magdalena received the new name of Iberia. 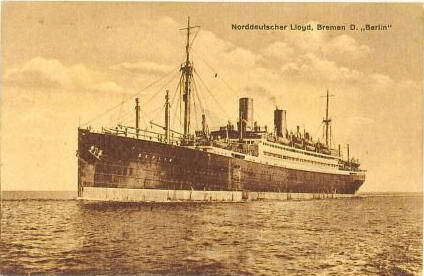 During the Second World War, the ship was the base of the German Navy. After the war, the liner became a part of the British fleet. 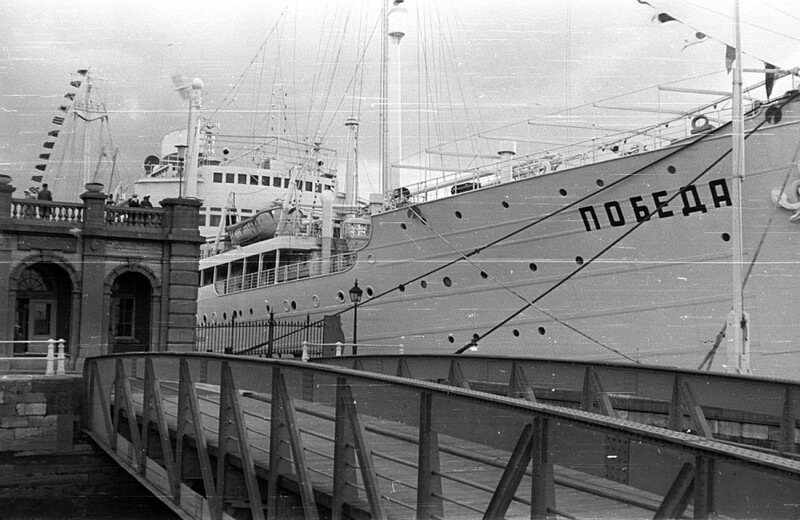 In 1946, the ship was transferred to the USSR as reparations. The ship got the new name of "Pobeda." After that, the ship cruised the Black Sea and abroad. 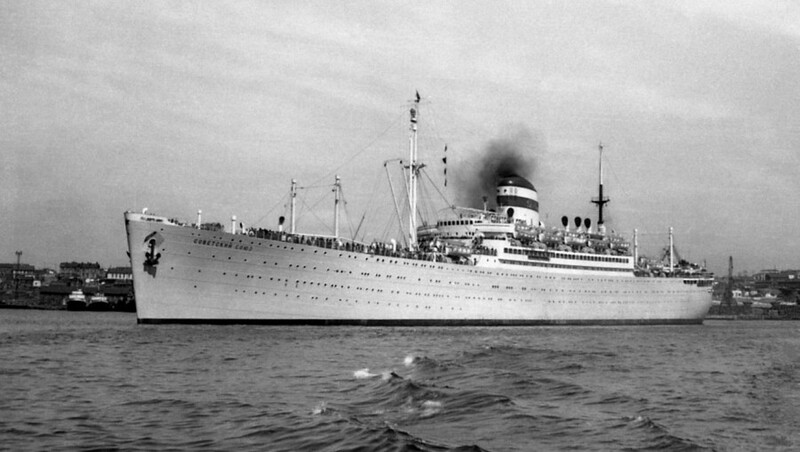 By the mid-1950s, this liner was one of the best in the Soviet Union. In 1956, the ship took the famous cruise around Europe. The cruise was famous for the fact that it was visited by prominent Soviet cultural figures, scientists, and writers. The ship is also known for the fact that in 1962, during the Caribbean Crisis, she transported the Soviet troops to Cuba. Besides, the ship became the filming location of one of the Soviet's most famous movies: "The Diamond Arm." We've already talked about this in the previous article. In the late 1970's, "Pobeda" was scrapped in Bangladesh. By the way, we'll have a separate topic about the requisition of ships for the needs of the Soviet government. Many people asked how they could take the ship in official peacetime. The answer is simple. The thing is there was no private property in the USSR. That is, any property could be taken for the needs of the country without discussions. Regardless of wars, economic situation, and other things. However, let's return to "our" ships. Basarabia was another well-known ocean liner that replenished the post-war fleet of the USSR. 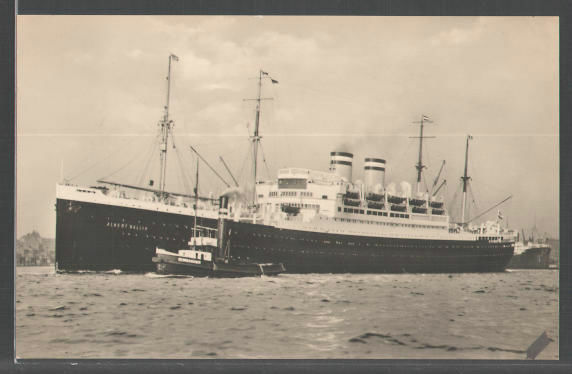 She was the Romanian liner constructed in 1938. She operated the Mediterranean cruises and was one of the fastest in this market. In 1948, the ship became a part of the USSR fleet under the name of Ukraina! The ship operated the Black Sea, Mediterranean, and Africa cruises. In 1988, the ship was scrapped. 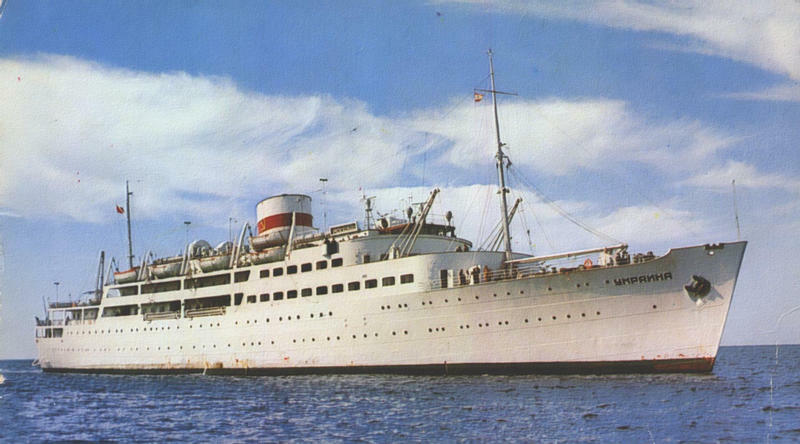 The popular HAPAG liner, Patria, was another well-known post-war liner. The ship was constructed in 1938 in Hamburg. 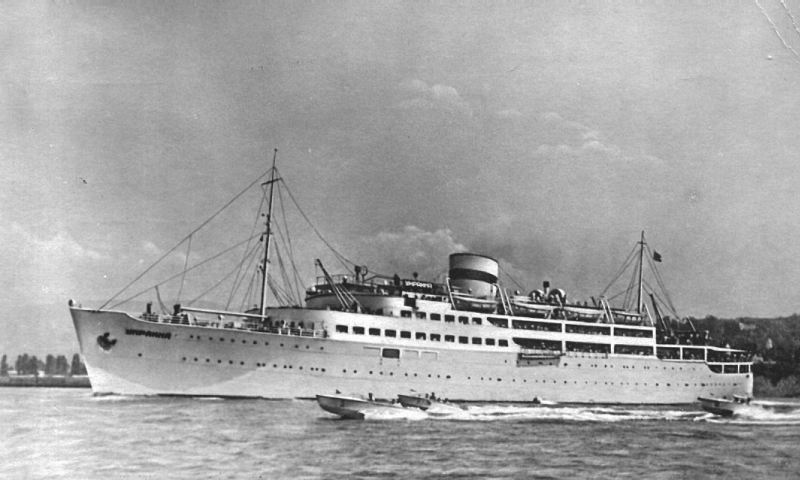 Patria operated transatlantic sailings from Germany to South America. During the war, the ship was a part of the German Navy. 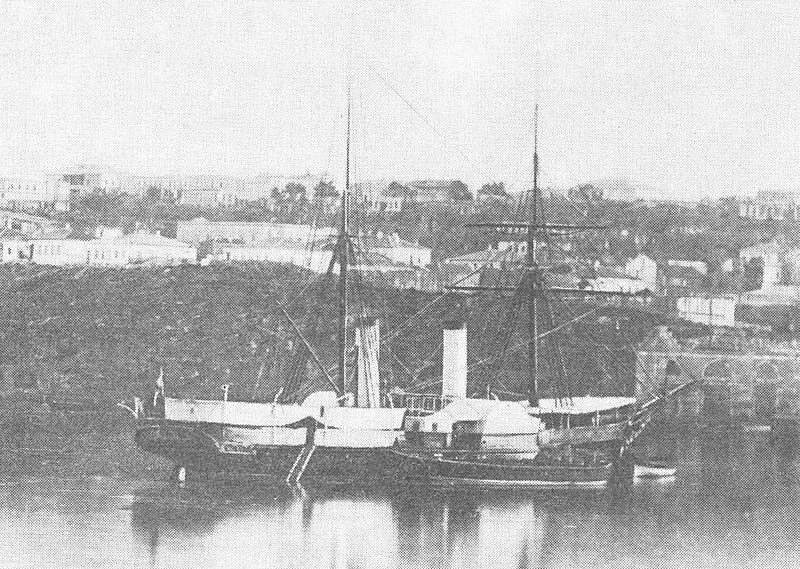 After the war, the ship was controlled by the British and was called Empire Welland. During that period, the ship managed to take 2 transatlantic sailings. In 1946, the ship was transferred to the USSR as reparations. The ship got the new name of Rossia. The ship operated the Black Sea cruises. It's interesting to know that because of this route's great popularity, the ship sometimes took extra passengers, who slept on open decks and sun loungers. In 1962, the ship took Soviet soldiers from Cuba to the USSR. Besides, Rossia operated the Black Sea, West Africa, and Cuba cruises. In 1985, the ship was scrapped in Japan. By the way, this ship starred in many Soviet films, including "The Diamond Arm" mentioned above. "Sovetskiy Soyuz" was another famous Soviet liner. This ship was constructed in 1921-23 in Hamburg for Hamburg-America Line. Transatlantic transportation was the ship's main purpose. Her itinerary was Hamburg-New York City. The ship could carry up to 1,800 passengers. By the way, the ship's first name was Albert Ballin. The ship was named after the HAPAG founder. The ship had a special feature: the tanks that minimized rolling. In 1935, the ship was renamed Hansa. The Third Reich authorities did not like that the ship was named after a Jew. During the war, the ship served as the evacuation vessel. In March 1945, the ship hit the mine and sank. After the war, the ship appeared to be among the ships that were transferred to the USSR (as reparations). In 1949, the ship was lifted from the bottom. She was repaired in Warnemünde and Antwerp. After the repair, the ship had one funnel instead of two. The ship got the name of Sovetskiy Soyuz. 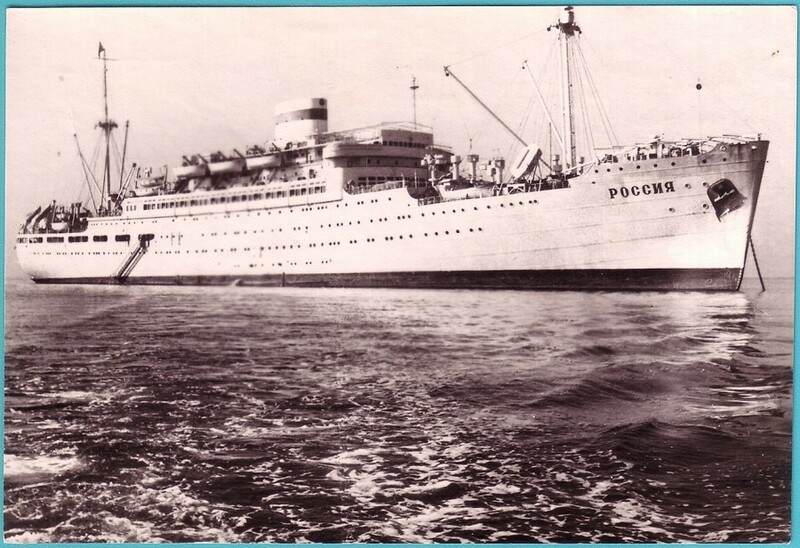 Since 1957, the ship operated sailings in the Pacific Ocean (Vladivostok-Kamchatka). In late 1980, the ship was decommissioned. It's interesting to know that the communist government could not give "Sovetskiy Soyuz" for scrapping. 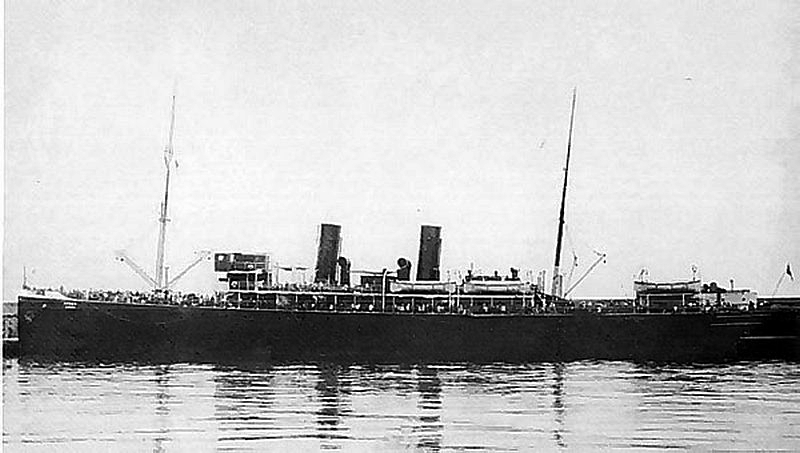 Therefore, the ship was renamed "Tobolsk." In 1982, the ship was scrapped in Hong Kong. In the next article, we will tell you about one of the most famous modern Soviet liners, Admiral Nakhimov - the famous German transatlantic ship that became the Soviet liner. You can read this story here. Also, we will continue to tell about the Soviet cruise history. Do not forget to subscribe to our e-mail newsletter.